LOS ANGELES -- August 2, 2018 -- Jukin Media has announced a new fall programming slate for its FailArmyTV linear channel which is currently streaming 24 hours a day, 7 days a week on platforms such as XUMO, Pluto TV, Twitch, TVPlayer, and Roku. Beginning this fall, FailArmyTV will be expanding its programming library of 400 hours of hilarious content to include more traditional TV formats from partners like Shout! Factory TV (Mystery Science Theatre 3000), The Asylum (Sharknado), and Nitro Circus. The new longer-form content shares a comedic ethos with FailArmy’s core programming, and is expected to attract new viewers and resonate with core fans, resulting in increased session times and viewership. FailArmyTV, along with sister channel Pet Collective TV, currently drives more than 50 million viewing minutes per month, with average session times in excess of 40 minutes per viewer. These linear streaming minutes are additive to FailArmy’s already massive reach of 30 million fans and 500 million views per month on social platforms like Facebook, YouTube, and Instagram. "Jukin Media is transforming the linear space by bringing the best of television and digital together in a fun, lean-back experience," said Cameron Saless, Chief Growth Officer at Jukin Media. 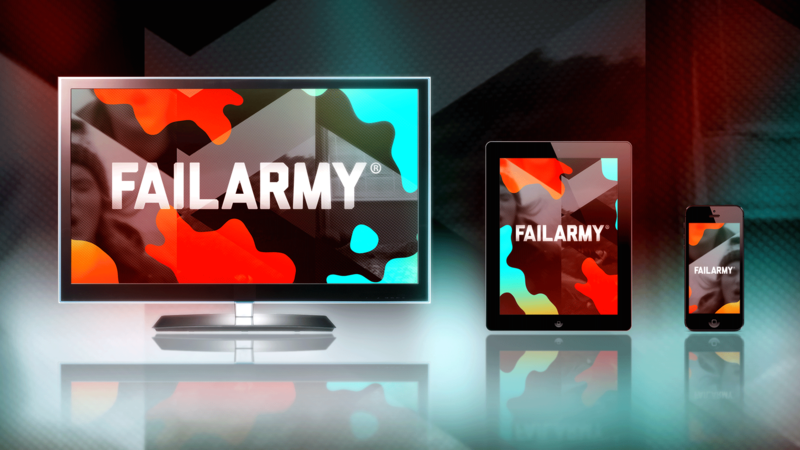 "Our fall slate provides us a chance to deliver a new and expanded view of FailArmy as a broader comedy brand, which our 30 million global fans are incredibly excited about." FailArmyTV's distribution partners are also excited by the move. "Jukin Media is one of the most innovative partners on our platform. Their channels already rank within the top 10 performing channels on XUMO for time watched, and drive 38% longer than average viewing times," said Stefan Van Engen, Senior Vice President, Content Programming, XUMO. "One of our key focuses at XUMO is driving a linear, lean-back experience and we expect to see continued success from partners like Jukin as they continue to experiment and bring the best of digital content to the linear world." Jukin Media is a global entertainment company built on the belief that the future of storytelling is user generated. Jukin produces original content for TV, the web, and emerging platforms, and is owner/ operator of a portfolio of social video properties that includes FailArmy, People Are Awesome, The Pet Collective, and JukinVideo; the properties combine for more than 125 million fans online and four billion monthly video views. Additionally, Jukin provides a wide range of solutions that allow premium brands, publishers, and media networks, to commercially utilize user-generated video content. For more information, visit http://www.jukinmedia.com/corporate.